The NHL draft lottery yielded a result on Tuesday that gave the New Jersey Devils flashbacks to 2017 — New Jersey will receive the first overall draft pick on June 21. Following behind the Devils with the second and third overall picks are the New York Rangers and the Chicago Blackhawks, respectively. I know I’ve discussed the Devils on several occasions, but when a team has a rough season that is actually ending with good news, it’s hard not to want to talk about it. So, despite having only the third-best odds at winning — the Colorado Avalanche, who received the Ottawa Senators 2019 first-round pick in the 2017 Matt Duchene trade, had the best odds — the Devils now have the first overall pick in this year’s draft. The team is predicted to select 17-year-old center Jack Hughes. And this upcoming season will be much different for New Jersey because of it. “But the Devils said that in 2017,” you might be thinking. “But they say this every year,” you also might be thinking. Sure, those are valid points, but thinking about it, in the season after drafting Nico Hischier first overall in 2017, New Jersey made it to the Stanley Cup Playoffs for the first time in six years. He’s now a top scorer for the Devils. 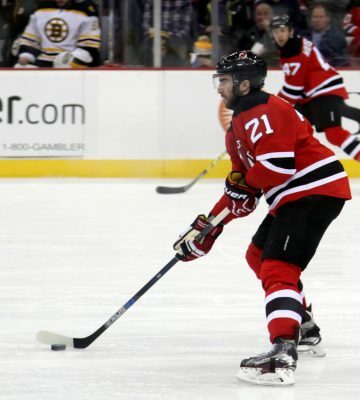 Heading into the 2017-18 season, right winger Kyle Palmieri had completed two seasons with the Devils and left winger Taylor Hall, after the team’s historic “trade is one for one” moment in 2016, had only been playing in Newark for a year. Players like Pavel Zacha, Miles Wood and Blake Coleman only had a season or two in New Jersey under their belts. The team did make a quick first-round exit in 2018, losing the series 4-1 to the Tampa Bay Lightning, but that was an important moment for the franchise. Not only was it a time for them to realize that they had snapped one of their longest playoff droughts in franchise history, but it was also a marker noting that the work the team put into the season had finally resulted in a postseason run, and it was up to them to keep that momentum up. Obviously, this year the Devils did not do the latter, with a similar tune of a bottom-of-the-pack season playing them out in April. Drafting first overall will change that momentum, and it can lead the Devils to another playoff run in 2020 as long as the team stays healthy. One of the major issues this season was the number of injuries that plagued key players. Hall, Palmieri and goaltenders Cory Schneider and Mackenzie Blackwood were just some of the Devils dealing with an injury this year. With the list of injured players constantly rotating throughout the season, it’s hard to expect consistency from the team. If New Jersey wants to maximize the benefits it will be reaping from this draft and not just repeat this past season, the team will need to stay healthy. Of course, that’s easier said than done. In many cases, injuries cannot be prevented, and the chances of having a season where there’s not a single injury are slim. That’s where General Manager Ray Shero’s comment comes into play. In an interview following the draft lottery, Shero stated the team needs more talent. Sure, that seems obvious enough coming from the GM of the team that ended this season third-to-last, but if the team has more talent, the blows taken from having a player sit out due to injury are much less crushing. Instead of hoping your star player(s) don’t get hurt, the talent is more evenly dispersed where the rest of the team can pick up the slack with much less difficulty. It’s impossible to predict how this upcoming season will pan out, but earning a first overall draft pick for the second time in three years will definitely shift this team’s momentum for the better.